I guess u all must have already experienced the heat of entrance prep by now.. There are two best thoughts which needs to be remembered each moment when u sailing through these stressful days. I know the feeling which each one faces in those days of entrance prep.. but No FEAR.. that’s actually needed the most to keep you r clock ticking..
HOW MUCH TIME IS NEEDED FOR PREPARATION? Now time is money here.. it all depends on whether u r dropping or just preparing during internship.. keeping that point apart, u should make a time table of urs in which u should mark a deadline for each subject.. make sure the amount of time u allot for successive revisions are less than the earlier one,, so if u plan ur study this way then u will get a rough idea about the level of preparation u will be doing at the end of prep. IS IT NECESSARY TO DO THEORY? Now there are many people who give a different formula for entrance prep.. but u all should know one thing.. nobody guaranties u the success.. but yes.. they do give a hope.. somebody has said the truth.. “ to know the path ahead, ask those who are coming back” . This just means that if somebody has got success then u surely have a hope in that path.. but each u all should remember one thing.. every individual is different. Hence the amount of effort put by each individual is different and luck too.. but one thing u all should remember is, U REALLY CANT SAIL IN TWO BOATS AT A TIME.. “ the best advice to u all .. trust one , and follow it… don’t complicate things by listening to too many people.. ask one person who got a true success and follow it.,, what matters is the amount of trust u put in his words.. that’s what is imp to keep urself motivated.. It also depends on ur time and how much u have read in ur BDS days.. I never had time to read theory in my internship but I had worked hard during in my UG, so I was not much scared about the standard book.. but those who have taken a break of another year , I advise them to read the theory to because they have lot lot time for prep.. WHICH ALL BOOKS NEED TO BE DONE? Another imp thing which u should remember is to get all new editions of the books so that u don’t mug the wrong answers and u miss out any new question.. WHICH ALL EXAMS SHOULD I GIVE ? Now that’s a big question!! That depends on how much money and time u have :P.. I believe u should give all genuine once.. why?? I still feel great to say that I got ranks in 6 out of 8 exams which I gave..
No matter what exams u planning to give… Always AIM AIPG… and I am sure u will end up somewhere.. Ya. Few of u must be laughing over it.. but believe me.. it’s not a cake.. the path is really hard.. u miss out something.. then u missed it completely. So do give 100% evrytime.. it’s better to worry now rather than regretting later that u missed out something. CAN I PREPARE FOR ENTRANCE ALONG WITH WORKING IN CLINIC? Now.. There r few great people who r born intelligent.. I am not one them.. but I do believe in one thing.. Always give ur 100%.. It’s better to give ur best attempt now rather than thinking why I gave only 99%.. Yes that does mean a lot of risk for one,,, but LIFE IS ALL ABOUT TAKING RISK.. nothing is easy.. preparing for entrance with that BIG QUESTION MARK!! FUTURE is risky,, but u really can’t sail in two boats at a time. The decision is based on how much work u have done in ur GU and how much a MDS is imp for you.. 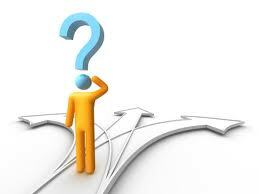 I leave the decision to u..
MY DAD HAS LOT OF MONEY,, SHOULD I TAKE A MANAGEMENT OR READ FOR ENTRANCE? WHAT ABOUT MY GIRL FRIEND/ BOY FRIEND :)? He he.. Someone did ask me this question when he read my first blog… I did advise him not to fall in love during entrance prep.. Another guy even reacted strongly saying few true words.. “love just happens…. But keeping that fact apart, I am really not against it.. u need know the imp of each things in life.. I just want convey u one message.. its damn difficult to find a partner who understands the imp of these days ,, I never said not to fall in love before or after entrance prep day.. but if u have found a girl/boy who really supports u in these days and may be who is also trying for entrance prep then I guess u have found the one.. best of luck in this matter. THE BIG QUESTION!! HOW TO MARK THE ANSWERS? Now I follow rule of 4 for answering any paper..!! 1st rule- around 50% of questions in any exams almost repeated from either textbooks are mcq books.. so always answer those first. If u r preparation is really good then by the time u read the first 2 words of the question, u will come to know that the question is repeated.. but if u feel that it’s not a repeated one, then don’t waste time in reading and trying to find answer. Just skip it.. The advantage of doing this , u will know the amount of right question u already answered by the time u finished the first 2- rounds.. and u won’t be spending much time in answering the difficult question. Believe me ,,, when u follow this pattern then u will finish the papers in half of the time which is allotted. I have done that.. but Yeh.. it depends on the number of revisions which u have done too.. because most of the entrance exam is memory based. IS THERE ANY SPECIAL PREPARATION BEFORE EXAMS?? Yes !!!! it starts 10-15 days before exams… specially before Aiims and AIPG..
No matter how many prep u have done there will be few subjects which u feel difficult.. so make sure u revise it 5-6 days before the exams.. and also make sure that u revise all the papers specially the exams which u will be giving first..
WHAT SHOULD BE DONE ONE DAY BEFORE EXAM? Hmmm.. Now u all should remember one thing when u r at the entrance of an exam hall… Hard work always pays.. It’s not a single day which matters in life.. It’s the whole life which matters the most… So when it comes to entrance u all should remember that the final result depends on your one year hard work and not the last day.. but yehh.. last day is imp too.. Specially for AIPG.. Medical papers r too difficult to remember.. especially when u mug the question from the different subjects which hardly goes deep into your head.. so one day before u need to revise at least the question papers which r most likely to come always.. so do it, u don’t have to read the explanation and all.. but u should at least remember the questions and answers. Here I am just giving u a bird view of many entrance exams.. may be its very difficult to be specific but it does explain u something about each exam. Ur actual preparation starts when u give Aiims exam.. its then u come to know how much u were able to recollect at the exam day. So you all should try it once. I loved this one.. one of the best which most of u miss.. generally Dec session, romantic weather, just love it… now when it comes to PGI entrance exam , the seats are less too.,, quite similar to Aiims.. but I guess very few people apply for it,, but the advantage of giving PGI is u all will get u r result within 8 hours… quite different than in Aiims.. getting an instant result in PGI boosts ur moral,, unlike the Aiims where u have to wait for months to get to know u r rank.. the question r mostly repeated from past PGI papers . hence doing those papers from bytes r out most imp.. the top 10 rank varies In just few point percentages. So in those 100 question max 90 should be attempted.. believe me .. it’s true that most of the time guess works do go wrong.. So no matter who says … do give PGI.. its worth.. Although lost it by 3%.. l,, but believe me.. they follow a set of pattern for exam.. most of the questions r repeated. It takes around an hour to mark those repeated question.. but the most difficult task Is to answer the new once,, anyway each question is imp.. marking the repeated question is most imp first than the new once.. so make sure u do medical papers too specially from other subjects. When u reading mudit khanna, do read all subjects , then mark the question which is related to u.. for example chromosome questions is given in pediatrics in their subject but its related to us also.. it’s here u r effort makes a difference.. without medical papers u won’t be able to clear AIPG, and u need to follow the same rule for Aiims medical papers too. They do ask question from national boards papers mostly from the 70’s papers.. but make sure u have done rest of the books before doing this.. and yes.. u need to remember the other main thing also.. The negative marking.. that costs a lot.. I advise u all to mark max around 170-180,, not more than that because the cutoff generally ranges from 65% to 75%. Yes.. it’s one of the most imp exams.. but the people who r giving the 1st attempt should not lose hope if they don’t clear it .. u need time for it.. maybe there r many who took a drop a year and I am sure they do deserve something more from it.. if u truly deserve it u will get it.. if not then make sure u give the best attempt till the last exams.. This is a Karnataka state entrance exam.. it’s like any state exam.. but one of the imp one.. the question r almost repeated and hardly any new things.. but it’s not that easy.. the seats are less and there are many people with same marks and yes.. reservation screws u when it comes to Kcet too.. hardly any use if u r cross 25 ranks in GM.. but keeping the expectation apart, work had to reach that top 10 so that u get the dream branch.. yes.. the fees is quite more than the AIPG but it’s quite less compared to comed and other exams.. and there is no negative marking.. be careful while attempting.. each mark is crucial.. The questions are mostly found in the discussion matter of all those books which has been mentioned, and specially past 2 years of Kcet and comed-K medical papers.. The main difference is the set of options they provide.. they really confuse u.. most of the options r so twisted , that really don’t cross u r mind.. it just looks difficult.. but u need to understand the question properly then find the answer,, if u really don’t know what they have asked then answering comed-K becomes damn difficult.180 questions.. quite lot of time.. no extra prep… but take time to answer.. follow the rule of four. One of the genuine one.. in fact more genuine than AIPG.. u get marks with a click of the mouse button. During my time the pattern was quite different.. but I guess the exam consists of 200 questions now and there is no negative marking also,, and I guess the Manipal reservation is also removed from this year.. and the number of seats r more as it included two colleges., I really don’t know the latest pattern but I do believe one thing.. the questions are mostly theory oriented and taken directly from the textbooks.. so this is quite difficult, but not impossible.. repeated questions r quite less. Pls don’t make a special prep for this.. I still don’t understand how they set the paper,, just go and try u r luck,, but AIPG prep + luck does give u a rank here..
IS IT REALLY NECESSARY TO MDS? HOW MUCH SALARY WILL GET AFTER MDS? MY FRIEND SAYS U CAN LEARN ALL THE THINGS IN CLINIC ONLY.. WHY SHOULD I WASTE MY 3 YEARS? Hold on… first think whether u will be make it.. clearing a entrance with a GM category is in fact very difficult… before asking question first see how much u capable of committing to it.. its note easy..
For each individual priorities are different, but money is not the only thing.. there is something called a dream, a hope, a satisfaction for an individual, for me MDS was dream.. and I really don’t care for the future because god really don’t give chances always,, isn’t it?.. Yeh I do say that budget matters, except for aims, AIPG, and PGI , in other exams ,fees r high.. in fact I too would have dropped the idea I did not had such supporting family.. but u should not keep the Kcet and comed fees in mind and start prep.. in fact u should not think about seat at all.. u should only struggle hard to achieve that perfection which cleares u through AIPG,.. yes I do agree that u might not clear at the end.. but u really can’t keep the negative thoughts and starts prep… its ur thoughts which make impossible - possible.. be ready to face the reality but don’t be fooled by the fear of failure at the start of entrance prep. It makes a lot of difference. If u really feel MDS is not an option for then, dude,,, shift to some other field,, may be u might shine there,, but if u r strong enough to face each problem of life then come.. sail with us. I have seen many who have left the prep in middle, may be due to some family problem, some other, but u all need to remember one thing.. study is not everything in MDS prep.. it’s how u manage friends, how u mange time, how u manage u r parents force to put a clinic or how to manage the force of ur boyfriend/ girlfriend marriage proposal.. the winner is one who manages all these things and still completes the task of reading at stands in front of the exam center with that deep confidence of achieving something special at the end.. the fear, the adrenaline rush which he feels when he get the result… the depression when he/she need to face when he tastes the failure for the first time.. Remember..MDS is not life. But it’s a part,.. life is game… and these are the part of it.. u really don’t know where’s ur destiny, but until u play the game of life,,, until u move with it,, u never know where u will end up..
"Its just a small effort to guide the new aspirants. The POST is clearly based on the experiences of the author. Everycare has been taken to put the correct information but opinions differ from individual to individual. Pls make sure u find the latest information about the various exams by few others who have cleared the recent exams.Words are carefully selected so that it does not hurt the readers sentiments, but if in case it does then the author’s deep apologies, Any comments +ve or –ve one are always appreciated."